Have you heard of Buttons Diapers they are a company that sell everything cloth diaper related. They have everything from inserts, wipes, diaper covers, bamboo liners, and wet bags. These cloth diapers are made with a great material. Buttons Diapers are a two-in-one diaper system: wipe-able, waterproof PUL covers that adjust with snaps to fit babies from 9-35 lbs. Our absorbent inserts are made of microfiber and moisture-wicking fleece, and snap right into Buttons diaper covers. Inserts come in 2 sizes with a nighttime doubler option as well. We have a 5-star rating on Amazon.com, and our customers love how well-made, cute, and affordable our products are. They come in 8 different colors. 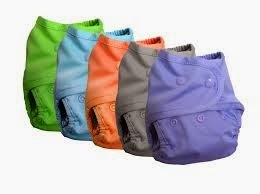 The diaper colors retail for $11.00 and the inserts run anywhere from $4.00 to $11.00 dollars. Make sure to follow them on Facebook and Pinterest! !